This was the introductory sentence to my last blog post about Montenegro in the Fall of 2016 on the occasion of the parliamentary election. It says a lot about the political role of Milo Đukanović that it would be possible to use this section again, only replacing parliamentary elections with presidential ones. Yet, the 1.5 years since the parliamentary election were not as uneventful as this little jab suggests. This blog post will briefly summarize the developments after the 2016 parliamentary elections, present the results of the recent presidential election and provide a forecast of what this might mean for Montenegrin political stability and democratic development. After the parliamentary elections that were won by the Democratic Party of Socialists (DPS) and its candidate Milo Đukanović, the Democratic Front (DF) and other opposition parties declared that they would not recognize the election results due to the pressure on all opposition parties throughout the campaign (in particular, as the coup claims and the arrest of allegedly Serbian paramilitaries arguably influenced the election or at least the turnout). Due to this, Đukanović stepped down as prime minister (yet not as chair of the ruling DPS) and was replaced by Duško Marković. Some analysts argue that Milo got ahead of his intra-party critics, who blame him for the waning power and influence of the DPS. Until recently, the DPS had what Komar and Živković (2016, 793) described as an “image of invincibility”, a phenomenon characterized by a dominant or hegemonic party that gains from “the public perception that it cannot lose any elections”. The fear of losing this image of invincibility and not being able to form a coalition government led to the Đukanović’s retreat. What seemed to some as the final ouster of a political dinosaur at the forefront of Montenegrin politics for 30 years was nothing more than an embossed tradition. It was actually the third time that Đukanović had used this ‘replacement technique’. In 2006 he announced his retirement from politics, installing Željko Sturanović as his replacement as prime minister. In 2008, after Sturanović resigned – due to health issues – Đukanović came back. Similarly, in 2010, Đukanović installed his long-time supporter Igor Lukšić to become the next prime minister. And again, Milo returned two years later and was elected to a seventh term by the Montenegrin parliament (RFE/RL 2012). There is little doubt that all three were a “political ploy” (Pavlović 2016), although Đukanović also pursued business interests. These business interests make him and his family very rich and the focus of immense criticism, even getting him labeled as Podgorica’s Godfather by international media (Ernst 2016). After Đukanović’s retreat in 2016, talk started immediately about him running for president (a position he had already held from 1998 to 2002). He confirmed his candidacy in March 2018. He was unanimously backed by the leadership of his DPS (Reuters 2018), the coalition partner, the Liberal Party (LPCG), as well as a variety of other groups. Similar to the 2016 parliamentary elections campaign, the brief campaign for the presidency was styled as a contest between two opposing directions: Either EU membership and thus an – at least proclaimed – orientation towards the West or closer ties to Russia. Yet, the intensity that was reached during the 2016 campaign where Đukanović painted the dire picture of Montenegro becoming a “Russian Colony”, was not the same (see for reports e.g. Deutsche Welle 2016). It was not possible to confirm similar dramatic statements for the presidential campaign. Even more so, Đukanović moderated his verbal tactics and instead emphasized that he was not running for personal ambition: “(Victory) is more important for Montenegro and its path than to me personally, I am someone who has fulfilled my ambitions in politics,” (McLaughlin 2018). At the same time, the opposition was not able to agree on a common candidate, yet Mladen Bojanić was supported by a broad group (among them the Democratic Front, Democratic Montenegro, United Reform Action and the Socialist People’s Party) (OSCE 2018) as well as Goran Danilović (a former candidate). A third candidate – Draginja Vuksanović – could also have had a key role. If she had reached close to 10% of the votes, a second round would have become likely. Roughly one month after announcing his candidacy Đukanović was elected president in the first round with a projected majority of 54 % over the 33% of his main opponent, Mladen Bojanic (CeMI 2018). He was directly elected for a term of 5 years (with a maximum of 2 terms) (Art. 96 Constitution of Montenegro). Milo Đukanović has had a formative influence on the democratic practice, the political process and the development of the society in Montenegro (Banovic 2016). But since stepping down in 2016 as prime minister and installing one of his most important allies, Duško Marković as prime minister, their relation has reportedly soured (Ernst 2018). Đukanović’s impact over key political issues has become more constrained. The presidency is however not a powerful institution – at least constitutionally. Apart from a rather active role in the investiture of a new prime minister, his power and influence are limited. But it is also a fact that as chair of the DSP, Đukanović will be able “to wield considerable power and influence policy through the ranks of his Democratic Socialist party” (The Guardian 2018). It is unclear how the relation between Marković as prime minister and Đukanović as president will play out. In particular, his role in negotiating the EU accession of Montenegro will be of interest. Traditionally, presidents try to influence foreign policy even when they are not powerful in other areas. Đukanović’s main interest was always the orientation towards the West and it can expected that he will be involved in the EU accession negotiations. There is an inevitable conflict with the prime minister looming. CeMI (2018): Election Results, in: https://twitter.com/CeMI_ME/status/985606974682353664?ref_src=twsrc%5Etfw&ref_url=http%3A%2F%2Fwww.euronews.com%2F2018%2F04%2F16%2Fmilo-djukanovic-wins-montenegro-s-presidential-elections-pollster-cemi&tfw_site=euronews, last accessed April 16, 2018. Deutsche Welle (2016): Montenegro’s longtime ruler faces ballot test (October 16), in: http://www.dw.com/en/montenegros-longtime-ruler-faces-ballot-test/a-36052927, last accessed October 18, 2016. Ernst, Andreas (2016) Der Pate von Podgorica, in: https://www.nzz.ch/international/europa/djukanovic-haelt-montenegro-fest-in-der-hand-der-pate-von-podgorica-ld.122532. Last accessed April 16, 2018. RFE/RL (2012): Djukanovic Gets Seventh Term As Montenegrin Prime Minister, in: https://www.rferl.org/a/montenegro-djukanovic/24789724.html, December 5, last accessed April 16, 2018. Komar, Olivera & Živković, Slaven (2016). Montenegro: A democracy without alternations. East European Politics and Societies, 30(4), 785-804. McLaughlin, Daniel (2018): East-West relations and mafia violence dominate election in Montenegro, in The Irish Times, https://www.irishtimes.com/news/world/europe/east-west-relations-and-mafia-violence-dominate-election-in-montenegro-1.3460842, last accessed April 13, 2018. OSCE (2018): Interim Report, in: https://www.osce.org/odihr/elections/montenegro/376573?download=true, last accessed April 14, 2018. Pavlović, Srđa (2016) Montenegro’s ‘stabilitocracy’: The West’s support of Đukanović is damaging the prospects of democratic change, in: http://blogs.lse.ac.uk/europpblog/2016/12/23/montenegros-stabilitocracy-how-the-wests-support-of-dukanovic-is-damaging-the-prospects-of-democratic-change/, last accessed April 16, 2018. Reuters (2018): Milo Djukanovic, Montenegro’s long-serving PM, to run for presidency, in: https://www.reuters.com/article/us-montenegro-election/milo-djukanovic-montenegros-long-serving-pm-to-run-for-presidency-idUSKBN1GW1PJ, last accessed April 16, 2018. The Guardian (2018): Pro-EU politician set to win Montenegro’s presidential election, in: https://www.theguardian.com/world/2018/apr/15/montenegro-votes-in-first-presidential-election-since-joining-nato, last accessed April 16, 2018. The DPS won with 41% (36 seats in the 81 seat parliament) (OSCE 2016). This entry was posted in Europe, Montenegro and tagged election, Montenegro, presidential election on April 17, 2018 by Anna Fruhstorfer. Citizens in Kyrgyzstan went to the polls on Sunday, October 4, to elect 120 deputies to the country’s unicameral legislature, the Zhogorku Kenesh [Supreme Council]. It was the second parliamentary election under a new constitution that was introduced in the wake of the April 2010 revolution and the interethnic violence of June of that year. Although observers in Kyrgyzstan label the country a “parliamentary republic,” the constitution in fact created a semi-presidential system in which the directly-elected president, currently Almazbek Atambaev, enjoys considerable powers, including the ability to appoint and supervise the “power ministries,” such as defense, interior, and secret police. President Atambaev also serves as the de facto leader of the Social Democratic Party of Kyrgyzstan, which received the largest share of the vote (27.41%) in Sunday’s election. As President, he has the right to select the formateur of the new coalition government, which will clearly be the Social Democrats, who finished seven points ahead of their nearest rival, the Respublica–Ata Jurt Party. The high level of competitiveness of the electoral campaign benefitted from a reduction in the use of administrative resources by officials allied to the President as well as the presence of numerous well-funded parties that were able to get out their message to voters across this mountainous country, where a sizable portion of the population lives in remote areas. According to preliminary figures, campaign expenditures of the parties securing seats in the new parliament ranged from less than 3 million soms ($43,500) per seat by the Social Democrats to over 9 million soms ($130,400) per seat by the Ata Meken party. [iv] The 14 parties that contested the election were also able to reach voters through a series of televised debates whose spirited exchanges and high production value rivaled debates in mature democracies. In fact, the television anchors questioning the candidates–using a bilingual format in both Kyrgyz and Russian–were models of professionalism. Although the regional divisions may be subsiding, tensions between ethnic Kyrgyz and Uzbeks in the South of the country show few signs of abating. The strong showing of the Social Democrats in Osh city and Osh regions almost certainly reflects the support of the ethnic Uzbek population for the party of the president. It is doubtful, however, given the virulence of ethnic Kyrgyz nationalism in recent years, that this Uzbek support will translate into significant concessions to the Uzbek population on cultural or political issues. [v] Because the new threshold is based on the percentage of actual voters, whereas the earlier threshold was based on the percentage of registered voters, the current threshold of 7 percent is in practice less restrictive than the former 5-percent threshold. [vi] An indication of the instability of parties in Kyrgyzstan is that during the previous parliamentary session, 56 percent of Ar-Namys deputies switched parties, a level that was on par with that for Respublica (60 percent) and Ata Zhurt (53 percent). The most stable parties were the Social Democrats and Ata-Meken, which witnessed 7 and 16 percent defections, respectively, from their ranks. [viii] Eugene Huskey and David Hill, “Regionalism, Personalism, Ethnicity, and Violence: Parties and Voter Preference in the 2010 Parliamentary Election in Kyrgyzstan,” Post-Soviet Affairs, vol. 29, no. 3 (June 2013), pp. 237-267; David Hill and Eugene Huskey, “Electoral Stakes, Labor Migration, and Voter Turnout: The 2011 Presidential Election in Kyrgyzstan,” Demokratizatsiya, no. 1 (January 2015), pp. 3-30. [x] One potential source of tension surrounds the failure of a party with its primary electoral base in the South, Butun Kyrgyzstan-Emgek, to cross the 7 percent threshold, garnering just over 6 percent of the votes. This party, led by the charismatic and divisive politician, Adakhan Madumarov, also fell just short of securing seats in the parliament in the 2010 parliamentary election. [xi] Despite some suggestions to the contrary in the Russian and Western press, foreign policy did not appear to be a major issue in the election campaign. Almost all major parties accept the basic pro-Russian orientation of Kyrgyzstan, and Russia appears to have made its peace with the more competitive and open environment in Kyrgyzstan. Unlike in 2010, when Russian leaders, including President Medvedev, warned that Kyrgyzstan could not survive the transition to a system with a strong parliament and multiple parties, the official line today from Moscow is more tolerant of Kyrgyzstani exceptionalism. See, for example, Vladislav Vorob’ev and Konstantin Volkov, “Liudi ustali ot revoliutsii,” Rossiiskaia gazeta, 2 October 2015, p. 6. Kyrgyzstan’s recent entry into the Moscow-dominated Eurasian Economic Union further solidified ties between the two countries. This entry was posted in Central Asia, Kyrgyzstan and tagged election, Kyrgyzstan, parliamentary election on October 8, 2015 by Eugene Huskey. On Sunday 12 October beleaguered Bosnia Herzegovina went to the polls for the seventh time since the signing of the Dayton Agreement. The election took place after a turbulent period when the Balkan state was rendered politically catatonic by legislative stasis and simultaneously rocked by street protests which underlined the deep social tensions which have accumulated since the 1990s. A total of 65 parties, 7,743 candidates and 732 candidates’ lists were certified by the Central Election Commission. Bosnia Herzegovina has a unique tripartite presidency. Bakir Izetbegovic, son of the country’s wartime leader, was a clear winner of the seat of the Bosniaks. Dragan Covic of the Croatian Democratic Union (HDZBiH) won the contest for the Croat seat. But in a major shock Zelka Cvijanovic, the candidate of Republika Srpska (RS) strongman Milorad Dodik and the Alliance of Independent Social Democrats (SSND), may well lose out to Mladen Ivanic of the opposition Party of Democratic Progress (PDP). Ivanic is perceived as a moderate by RS standards and as someone who will be more accommodating of Bosniak and Croat sensibilities. Whilst Dodik, who has strong ties to Moscow, and has been a long-time thorn in the side of pro-Dayton forces, did hold onto the Presidency of Republika Srpska, his position within the Bosnian Serb community has been considerably weakened, not least because his party has lost its grip on the Republika Srpska Assembly in Banja Luka. The election saw little change in the approach of the ethnically-based parties across the country with Bosniaks arguing for greater centralization of the Federation, Bosnian Croats arguing for greater autonomy within the Muslim-Croat Federation, and Bosnian Serbs asserting the separatist case as they have in every electoral contest since 1991. The fossilizing impact of the consociational Dayton model means that ethno-nationalist agendas remain the only game in town within an ossified electoral architecture. But observers see some hope in the changed constellation within some key regional assemblies (such as that of RS) which may finally signal a change in the ways Bosnia is governed. The Bosnian crisis is multi-faceted and truly existential, encompassing simultaneously economic, demographic, constitutional, institutional and social elements, which taken together point to something approaching a ‘failed state’ on the borders of the European Union. Endemic corruption and organized crime blight the country after two decades of unsuccessful attempts to ‘bed down’ the Dayton Agreement, which brought an end to the war in Bosnia in 1995. Engagement with the European Union through the enlargement process has been haphazard and crippled both by poor coordination on the Bosnian side and ‘enlargement fatigue’ on the EU side. If transition was meant to lead to an EU-anchored transformation of administrative, economic and social standards in Bosnia that goal seems as far away now as at any point in the post-war period. In the wake of Dayton Bosnia became increasingly associated with discernible patterns of state capture as criminal groups managed to suborn political, judicial and economic structures, hampering much-needed reforms (the reforms which were being implemented across much of Central and Eastern Europe), and depriving citizens of an impartial rule of law. Organized crime groups succeeded in instrumentalizing municipal and national political actors with the result that organized crime seeped into every discernible crevice of public life, bearing significant influence over political stability, rule of law, and socio-economic development. Bosnia thus conforms to what Jeffrey Winters terms a ‘criminal democracy’ in that it is both democratic and deeply corrupt and oligarchs use their wealth both to compete unfairly for office and to defeat the rule of law where their interests are threatened. Its agents sponsor political supplicants who walk and talk like politicians of a normal European state, but in practice loyally serve their network allies. Bosnians have suffered under this predatory and vertiginous regime for two decades as deregulation, privatization and monopoly practices have enriched the ‘elect’ and substantially eroded the social contract. National regulatory bodies are pitifully ill-equipped to match the excesses of organized crime units which increasingly operate within a global regime which facilitates financial largesse. To make matters worse the Bosnian judiciary is also deeply implicated in these activities. The state – far from representing a countervailing force to oligarchy – is comfortably accommodated within its tentacles. Little wonder then that, for a majority of Bosnian voters, these elections constituted an absurd pantomime act where ‘one bunch of criminals replaces another’. Politicians from all three sides eschew cooperation in favour of carving up the public sphere at every level of the political matrix. The period since the last elections in October 2010 saw all three ethno-political blocs fragmenting as they quarrelled over the distribution of spoils. An existential legislative crisis was evident in the extreme stasis which pervaded parliamentary activity: virtually no legislation of any substantive kind was passed in the four year mandate of the previous parliament. The perception remains widespread that the convoluted (and now hydra-headed) Dayton model of representation has inordinately aided the creation and maintenance of a ‘hierarchy of thieves’. But 2014 has seen Bosnians mobilize against these pathologies which pervade the economy and political system. The immediate trigger was in Tuzla in February where workers from several privatized factories united to demand their unpaid salaries and pensions. They were soon joined by a wide range of groups, including students and Bosnians from all ethno-national communities. Responding to a dramatic deterioration in incomes and living standards, the demands of protestors included calls to reverse what are perceived to have been illegal and/or criminally-linked (and extremely opaque) privatizations, the replacement of party-based local government with competent technocratic administration, a reduction in the salaries of Bosnian politicians (which are amongst the highest in Europe in relative terms at approximately five times the average Bosnian salary) and an end to the outrageous abuses of public procurement processes. The economic figures tell us an important part of the story. Unemployment across Bosnia now exceeds 550, 000, or 44 per cent of the population, with youth joblessness significantly higher again, even against a backdrop of sustained outward migration by the young. And this is hardship which crosses the traditional ethno-national lines: unemployment and corruption do not stop at internal borders in Bosnia. The protest movement threw up so-called ‘Civic plenums’ (or self-governing citizens’ assemblies), which took place in numerous jurisdictions with citizens encouraged to openly debate issues and problems. This was a true anti-politics and anti-regime rebellion as Bosnians railed against oligarchy and political corruption. And it was different in that participants crossed ethnic and religious lines in arguing for a polity based on dignity of the person and respect for the rule of law. The poison of ethno-nationalist conflict gave way to normalized discourses of citizenship. That the protest movement fizzled out matters little: it put down a marker which Bosnia’s politicians can no longer evade. The protests were followed by devastating floods and landslides in May and June which destroyed houses, businesses and a wide range of infrastructure. This was the worst such natural disaster in modern times in Bosnia and is estimated to have cost €2 billion, equivalent to 15 per cent of Bosnia’s GDP, and displaced almost 100,000 people. Politicians made little attempt to address the crisis. Months after the floods struck international observers complain that virtually no action plans have been drawn up to properly coordinate re-construction efforts. Bosnians now face yet another period of instability as the political parties begin negotiations on forming a government. Absent any real differences on policy these negotiations will revolve around a familiar pattern of distributing spoils. But the dramatic events of the spring and summer may well have changed Bosnia in ways that the ethnically-rooted political class now cannot ignore. Any reversion to the status quo ante will run up against lingering anger amongst Bosnian citizens at egregious corruption and recurring failures of economic management. The extreme social dislocation which the Dayton model is now associated with means that this time around Bosnia’s very existence may well be at stake. John O’Brennan lectures in European Politics and Societies and is Director of European Studies at Maynooth University, Ireland and is currently on sabbatical leave in the Balkans. This entry was posted in Bosnia Herzegovina, Europe and tagged Bosnia Herzegovina, election on October 16, 2014 by Robert Elgie. In Madagascar, the legislative election was held concurrently with the presidential election late last year. However, the results took even longer to appear than for the presidential election itself. Now, though, some figures are available. As reported by one source, the situation looks something like this. The so-called MAPAR (Miaraka @ Prezida Rajoelina) party has won 49 of the 151 seats in the legislature. This is the party that supports Andry Rajoelina, who ousted President Ravalomanana in 2009 and who then held the post of President of the Transition. The Mouvance Ravalomanana has won 17 seats. This groups supports the ousted president, Marc Ravalomanana, and the losing presidential candidate, Jean Louis Robinson. The VPM-MMM (Vondrona politika miara-dia Malagasy Miara-Miainga) movement has won 17 seats. They supported the candidacy of Hajo Herivelona Andrianainarivelo at the presidential election. He came third and said that he would not support either of the top two candidates. The Parti Hiaraka isika, which supported the presidential candidacy of former general and Rajoelina PM, Albert Camille Vital, won 7 seats. The LEADER-Fanilo (or Libéralisme Économique et Action Démocratique pour la Reconstruction Nationale won 5 seats. A couple of other national parties won a handful of seats, local parties won a number of seats and the rest went to independents. One recent article suggests that around 30 independents would support the new president, Hery Rajaonarimampianina, who was backed by MAPAR. This would have given him a parliamentary majority. However, things seem to have changed. The new president, who was inaugurated on Saturday, has sidelined Andry Rajoelina. There were rumours that Rajoelina wanted the position of PM so that, in effect, he could still govern. However, President Rajaonarimampianina has indicated that he will appoint someone else. As a result, MAPAR appear to have withdrawn their support from the new president. This makes it very difficult for him to appoint a PM who will have the confidence of the legislature. There is even a scenario where President Rajaonarimampianina could face a period of cohabitation. According to the constitution, as the largest group in the legislature, MAPAR looks to have the right to nominate the PM. However, the wording is ambiguous. In short, Madagascar’s troubles are not yet over, even if some form of electoral democracy and constitutional government has been reintroduced. This entry was posted in Africa, Madagascar and tagged Africa, election, Madagascar, parliamentary elections on January 29, 2014 by Robert Elgie. On Sunday, Chile held concurrent presidential and legislative elections, producing one of the least surprising results in recent Latin American electoral history. Michelle Bachelet of the Partido Socialista (PS) and Nueva Mayoría alliance, received 46.7 of the vote, just short of the 50 per cent threshold needed for outright victory and so will compete in a run-off election on December 14th with the second place candidate, Evelyn Matthei, of the Unión Demócrata Independiente (UDI), who received 25.01 per cent. This election signals important changes ahead in Chilean politics. Firstly, the election, occurring against the backdrop of the 40th anniversary of the military coup in Chile, which ousted Salvador Allende and installed the military dictatorship of Augusto Pinochet, was widely considered to be the most ideologically polarized in the country since the return to democracy. It also highlights the disorientation of the right in Chile. From the outset of the campaign, the right was in disarray and fell foul to in fighting over their choice of presidential candidate. Evelyn Matthei, a former labour minister under the current right incumbent, Sebastián Piñera, was only the third choice candidate for the right-wing alliance, Alianza por Chile. Alianza has also suffered in the legislative elections held on Sunday, winning only 48 of the 120 seats in the lower house and 7 in the senate. However, this does not mean it will all be plain sailing for Michelle Bachelet if (and when) she wins the run-off election in December. During the campaign, Bachelet promised to change the constitution, raise corporate tax rates, and oversee significant education reform. While the Nueva Mayoría alliance won 68 seats in the lower house and 12 in the Senate (giving them 21 of 38 senate seats), this still falls far short of the 60 per cent needed to change the electoral system, or the 67 per cent supermajority needed to change the constitution. The two-third requirement for constitutional change is a legacy of the Pinochet era dictatorship, together with Chile’s rather unique binomial electoral system, which ensures that it is virtually impossible to ever win such a majority in the house. Nonetheless, this majority should be sufficient for tax reform, and if Bachelet can meet the demands of at least one of the four newly elected independent candidates linked to the highly mobilized and militant student movement, it should also be enough for the 57 per cent majority needed to reform the education system. This election also recorded a total turnout of 6,691,840, by far the lowest turnout in a presidential election since the return to democracy in Chile. This is particularly interesting given that this was the first Chilean election to be held without compulsory participation and penalties for not voting. It is widely expected that Bachelet will win the run-off election on December 14th. All 120 lower house seats were up for election, and 20 of 38 senate seats. This entry was posted in Latin America and tagged Chile, election, Michelle Bachelet on November 19, 2013 by David Doyle. Vitali Klitschko is not a man to be knocked down easily. The multiple Heavyweight Boxing Champion turned politician first entered Ukrainian politics in 2006 when – unsuccessfully – running for mayor of the capital city of Kiev. After having led a variety of political formations in local and regional elections, Klitschko’s UDAR party (roughly translated as ‘Blow’ or ‘Punch’) entered parliament in 2012 winning 9% of seats. As leader of the UDAR faction, Klitschko has certainly not lost his punch. However, challenging the country’s ruling elite might prove to be his toughest fight yet. Klitschko’s interest in running for the presidency of Ukraine has been a more or less open secret since he first entered politics. The official announcement, however, came with less fanfare than he might have hoped. On October 24, Klitschko was forced to stand in the Verkhovna Rada (Ukraine’s unicameral parliament) and denounce a law disqualifying presidential candidates who had paid tax abroad on residency grounds. Klitschko told the assembly that he hoped to run against the present incumbent, Victor Yanukovych, in 2015, and that he would not stand for attempts to disqualify him. The row speaks to many features of modern Ukrainian politics. 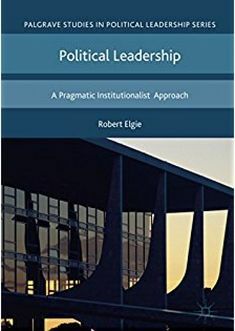 The country can essentially be considered a competitive authoritarian regime – there is electoral choice, and opposition candidates do sometimes prevail, but there is also an inordinate amount of unnecessary hurdles and dirty tricks, usually favouring the incumbent. There is a free press, to the extent that there are newspapers owned by rival oligarchs and there is no party with a majority in the Rada, save that which can be created and manipulated using administrative resources and compromising PR. There are presidential elections, the last of which were deemed relatively free of corruption, save that President Yanukovych’s rival in 2010, Yulia Tymoshenko, was shortly afterwards convicted and imprisoned on charges of abusing her prime ministerial powers in 2009 (in order to restore gas supplies following a dispute with Gazprom and Russian Prime Minister Vladimir Putin, Tymoshenko signed a new contract without the approval of the full cabinet. The law under which she was convicted dates back to Soviet times). Many in the European Union have perceived the case to be one of selective justice and have pressured Yanukovych to pardon the country’s most charismatic and recognisable politician. The centrality of the presidency in Ukraine’s constitution makes this a particularly important battleground. With the parliament fragmented and dysfunctional, and trust in political parties low, presidential elections become the focus for opposition movements to exert influence, and for ballot spoiling on both sides. The President appoints the country’s Prime Minister, and has tended to be able to manufacture coalitions to avoid dealing with rivals. Potential presidential candidates are therefore a more serious threat. Yuriy Lutsenko, a former Interior Minister in Tymoshenko’s government (but from a different political background), was released earlier this year, yet while he has not given up his opposition to the current government, he has ruled out running for president. The current leader of Tymoshenko’s party, Arseniy Yatsenyiuk, soured relations with UDAR by self-servingly suggesting that the boxer run for Mayor of Kyiv instead. Klitschko’s candidacy for the presidency introduces a new element of controversy to this kind of politics. Given Ukraine’s linguistic and cultural differences, as well as the influence of its more nationalistic emigre population, patriotism is a keenly discussed issue. Tymoshenko’s gas deal with Russia in 2009 gave Yanukovych’s party the perfect pretext to attack her as acting outside of Ukraine’s national interests (a widely discussed but relatively peripheral part of the charges against her), and Yanukovych in turn has been described as the Russian candidate for the presidency, having received considerable support from Kremlin spin doctors in his fraudulent campaign in 2004. The passing in 2010 of a law sponsored by Yanukovych’s Party of Regions, making Russian an official language of state, led to riots and the rise of the nationalistic Svoboda party in 2012 parliamentary elections. Against that background, Klitschko raises troublesome questions of what it is to be Ukrainian. While most ordinary citizens view his sporting prowess as a matter of pride (and mutter cynically that at least they can clearly discern the source of his wealth), the fact that he trains in Germany is far less flattering to national feeling. Now pro-government politicians are attempting to make capital from the fact that Klitschko’s honestly gathered millions are not benefitting Ukrainian tax collectors. The timing may make Yanukovych’s Party of Regions seem cynical, but residency requirements are a common feature of many modern constitutions. Even the United States famously allows only those citizens born on American soil the opportunity to run for President. In the post-Soviet space, ten years residency is a common requirement, with Georgia, Kazakhstan and Turkmenistan among those countries opting for 15-year residencies. Bulgaria is slightly more forgiving, at five years, while others have no residency requirements. 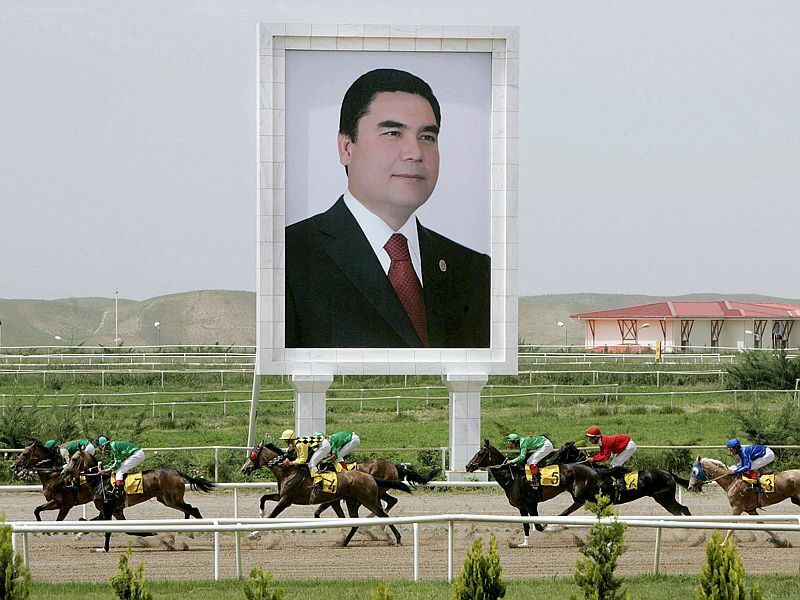 Only Turkmenistan specifies in its constitution that a presidential candidate must have worked in the country’s businesses or institutions (although primary legislation is beyond the scope of this article – if you know of similar regulations in any other country, please let us know in the comment section). However, Ukraine does fall into a class of countries including Kazakhstan, Moldova and Turkmenistan that requires presidential candidates to speak the state language to be eligible for election. Before the latest attempt to nobble Klitschko’s candidacy, almost half of Ukraine’s population was believed to have a positive opinion of him. That level of support in elections would almost guarantee his success, something feared by politicians from all sides of the spectrum. On the other hand, it is important for Ukraine to progress towards democracy that so-called authoritarian elements are removed to make way for free political competition. Playing on national feeling is an astute tactic for the Party of Regions, but may underestimate the likely reaction from the EU, and the ability of ordinary Ukrainians to perceive this as a cynical measure. Above all, it will be a test of Klitschko’s own character, and his ability to unite disparate groups around a common direction for Ukraine’s politics. This entry was posted in Europe, Ukraine and tagged election, presidential election, Ukraine on November 13, 2013 by Robert Elgie.